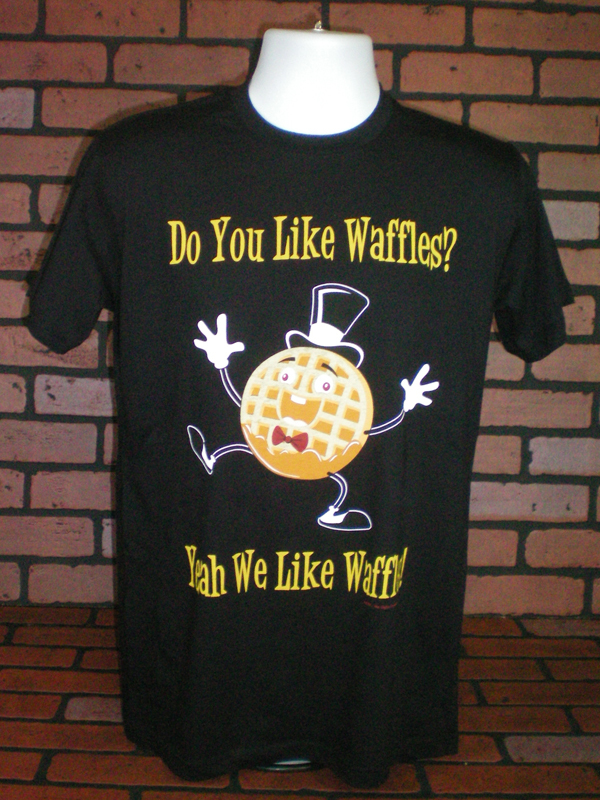 This shirt features the now legendary "Wally the Waffle" dancing and staring into space with the vacant look he made so famous with his YouTube video. Available in Black, Blue and Olive Green to match any wardrobe. These shirts are made of premium quality high thread count fabric for a lighter more trendy feel.